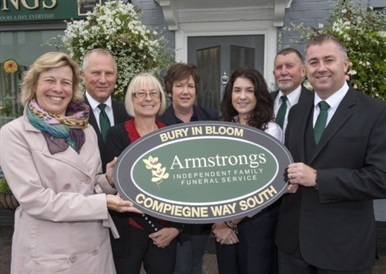 Armstrongs are proud to be the only traditional, independent family funeral service in Bury St. Edmunds, Suffolk. Our funeral arrangements are totally bespoke in nature, and can be altered to suit a wide variety of individual requests. We are a well established, locally owned and independent family company committed to providing the highest standards of care and service to each family that we serve. Our company has grown through establishing a high reputation and through personal recommendations. Our fully trained staff are available to give personal and discrete service at any time of the day or night, at weekends and on public holidays. Once our services are engaged, everything can be left in our care, giving peace of mind to you and dignity to the deceased. 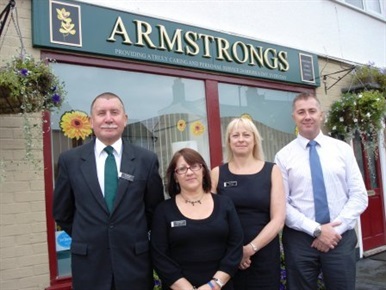 From the moment of first contact Armstrongs will guide the family step-by-step through the arrangements and through all other items such as announcements in local or national papers, arranging floral tributes,catering and memorials. We can arrange as much or as little as you wish and be as supportive or as discreet as you want us to be. From a simple, traditional service to a modern celebration of a life well lived, we are dedicated to making it perfect with our personal, friendly and caring service. 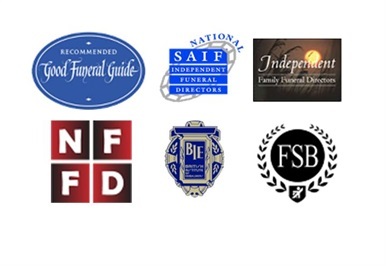 After discussing your requirements, we will take detailed instructions concerning the services and facilities to be provided and then act to ensure the funeral is dignified and that all aspects are delivered to the highest professional standards. Click here to read our testimonials from previous customers.